Approximately 30 states now grant a commercial real estate broker the right to place a lien on real property when his or her fee isn't paid. Most states address the lien right in a specific lien statute for brokers’ liens but a few states provide for brokers’ liens as part of their mechanics’ lien law. Delaware is the most recent state to join these ranks with its passage of a commercial real estate brokers’ lien act. Ohio’s lien law for commercial real estate brokers can be found at ORC 1311.85 through 1311.93 and has been around since the late 1990s. 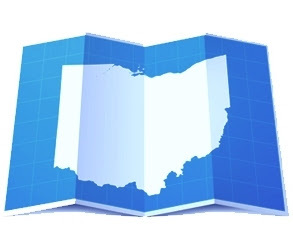 Ohio recently passed legislation which took effect March 27, 2013 and clarifies the various services covered by the lien act and other details surrounding the creation and enforcement of the lien with respect to each type of services. The purpose of the lien law is to protect commercial real estate brokers who provide services and then are not paid their brokerage fees. The amount of the fees are at a level where litigation to collect the fees typically eats up the entire amount of the fee and can take a couple of years to work its way through the legal system. Having the ability to enforce a lien on the real property provides the real estate broker with some leverage to ensure prompt payment. However, as it is typically the case, the devil is in the details. Each state’s definition of what constitutes “commercial real estate” can differ. Typically, it will carve out single family residences and real estate containing a limited number of residential units, although the number of units will vary from state to state. In Ohio, real estate containing one to four residential units falls outside the definition. Most lien law states require the real estate broker’s fee arrangement to be contained in a written agreement and a handful of states also require that the written agreement contains disclosure of the lien rights. Ohio law requires a written agreement but does not require mandatory disclosure of the lien rights. The types of real estate transactions covered by the lien rights also differ from state to state. In Ohio, transactions covered by the statute include services related to selling, leasing or conveying any interest in commercial real estate. While the majority of states with brokers’ lien rights apply these rights to both sale and lease transaction, some states limit the brokers’ rights to only sale transactions or to only lease transactions. Each state’s law also provides specific time frames for filing the lien affidavit and other actions. It is important to carefully review the applicable state’s statute to ensure compliance or risk losing the lien right. Excellent content! I really like your information and it's very beneficial.